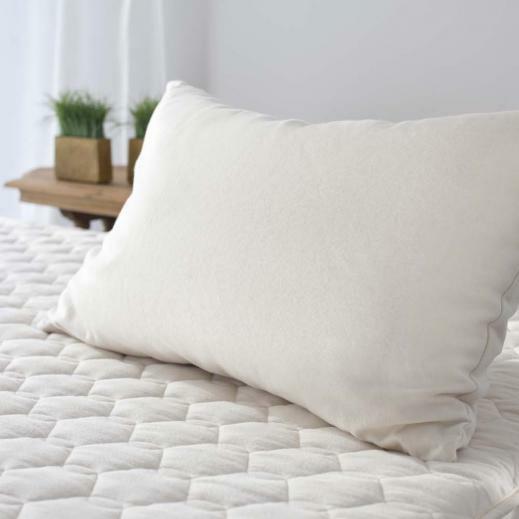 This organic kapok pillow by Savvy Rest is made from certified organic kapok and covered in a removable certified brushed twill organic cotton casing. 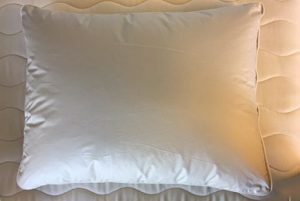 This vegan pillow offers luxurious “down like” softness without the feathers. 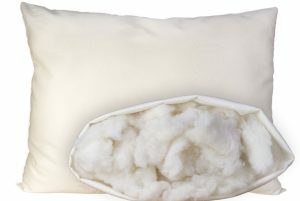 It’s a perfect plant-based alternative to down and is considered our most plush (and popular) pillow. 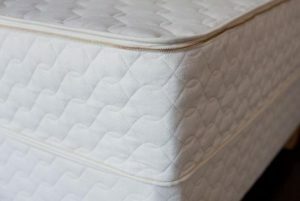 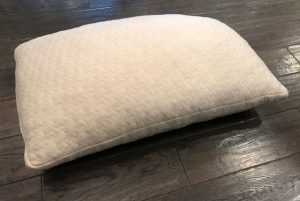 The zippered inner cover allows you to customize the amount of fill you prefer in the pillow by adding or removing the kapok fill. 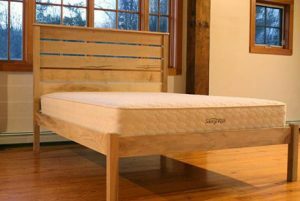 Availability: Ships directly from the manufacturer in a week or under. 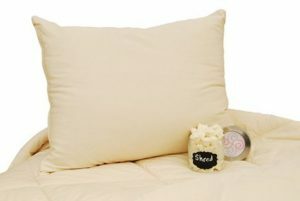 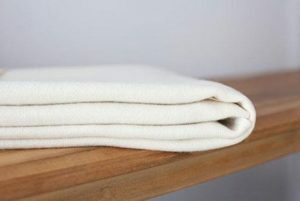 Freefrom Natural Shredded Latex Pillow $99.00 Natural shredded latex in an organic cotton zip off cover. 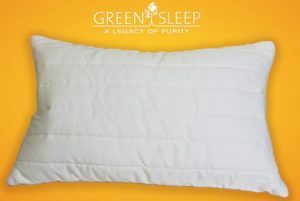 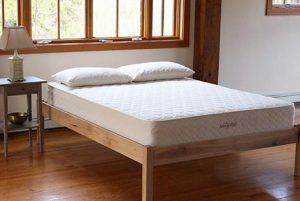 Green Sleep Ergo 6500 Shredded Rubber Pillow $198.00 – $238.00 Adjustable shredded rubber pillow.